The Veterinary Schools Council is made up of seven UK veterinary schools offering degrees accredited by the Royal College of Veterinary Surgeons. 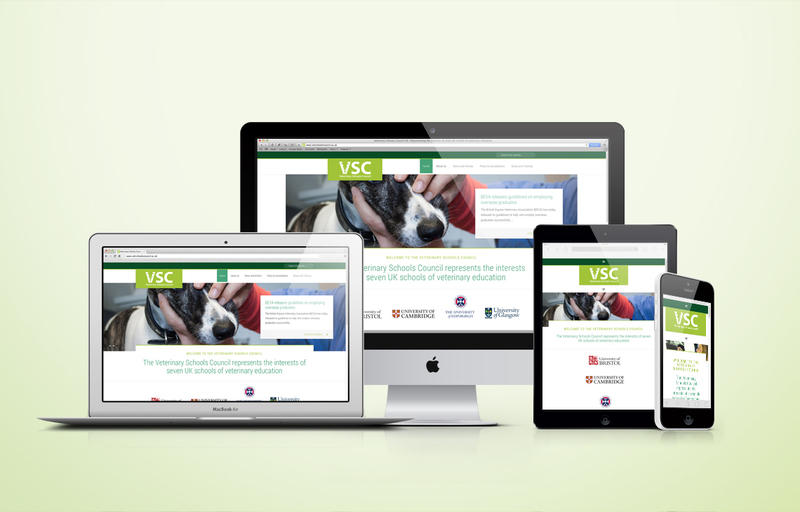 We were asked by them to create a website that would be used to promote the Veterinary Schools Council whilst also providing an excellent resource for those who are studying, or thinking of studying, for a career in Veterinary medicine. There is also a private area where the seven schools can post and comment on internal information. The website had to communicate the wide range of career options available, and appeal to a wide age group, from schoolchildren to working professionals.